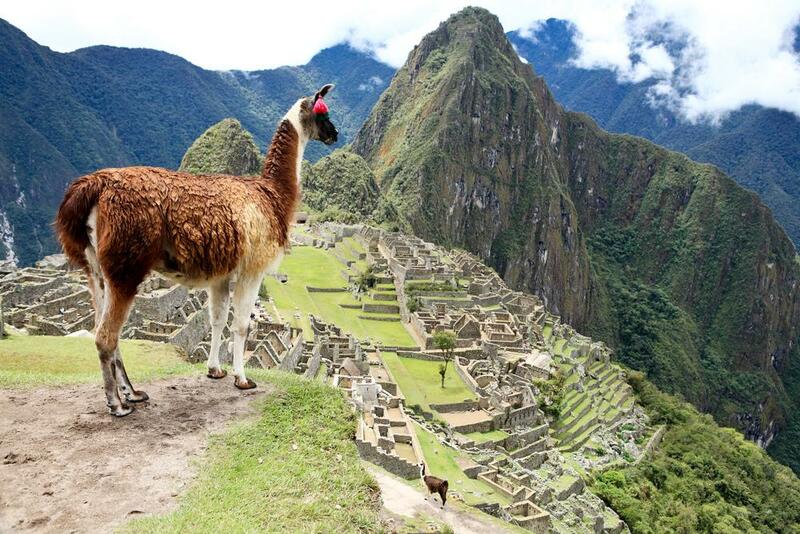 Those who say they left their heart in San Francisco have obviously never been to Peru. Lose yourself in the beauty and majesty of the Andes and the Amazon on this tour tailored to show you the stunning wonders of the country. 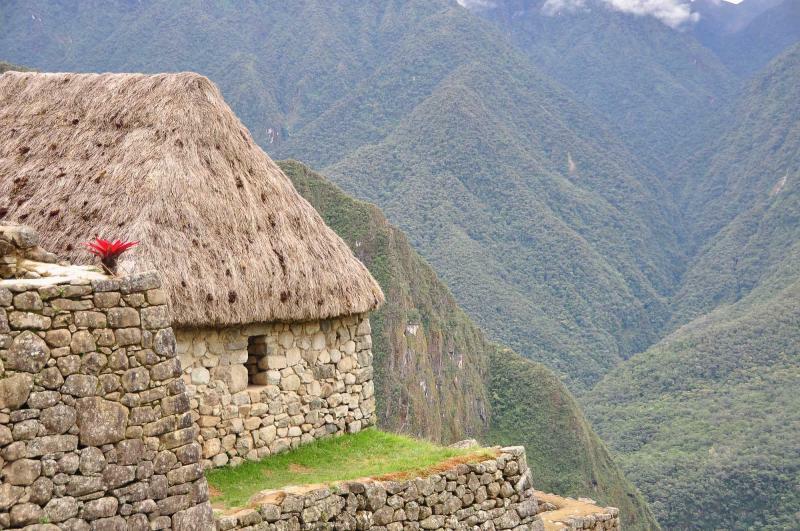 Stand amidst mountaintops and marvel at the grace of Machu Picchu. 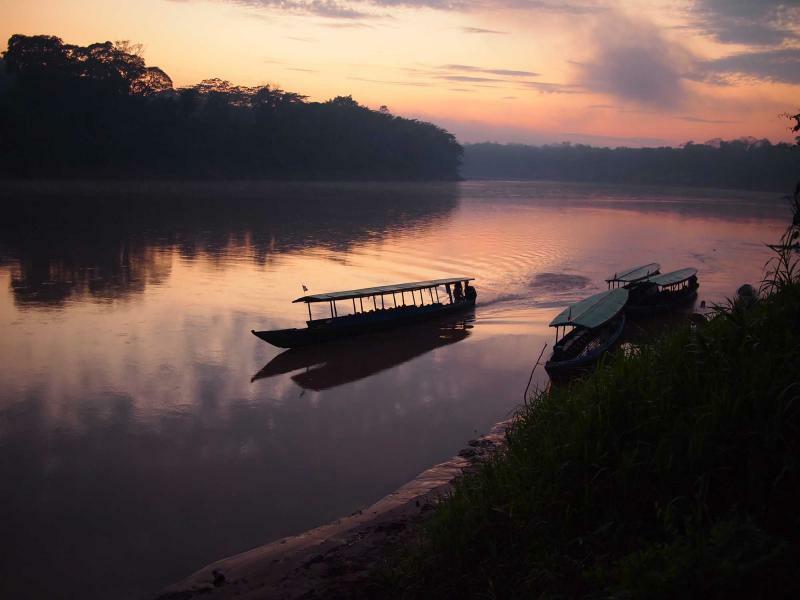 Experience the grandeur and breadth of the Amazon Rainforest. From the historical remains to the cultural continuity, the incredible rolling hills to the amazing winding river, come give your heart to Peru. 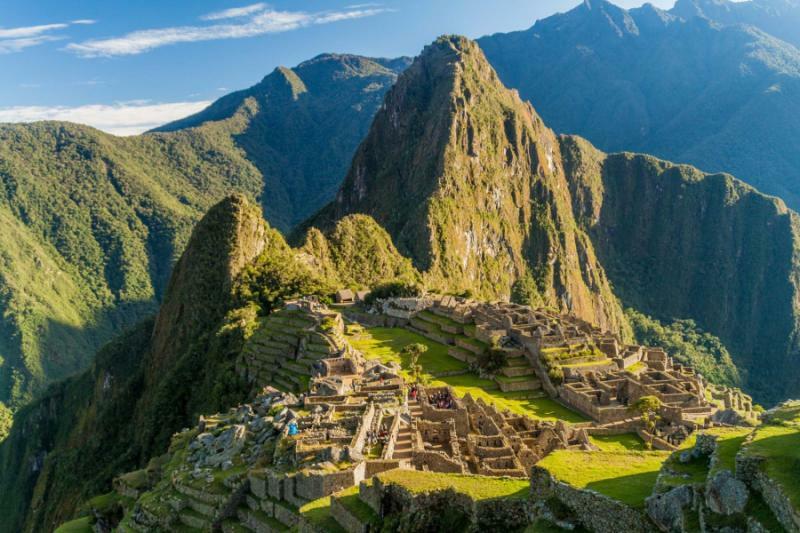 Lose yourself in the beauty and magic on this 10-day tour meant for luxury cruisers, rainforest explorers, river drifters, mountain passers, old souls, new souls and anyone ready to fall in love with Peru. From the Andes to the Amazon you will witness the sensational life that breathes into the soul and creates the diversity of the country. The colorfully clad people, the vibrantly hued birds, the expansive mountains and sprawling trees, this trip will take you through lingering colonial decadence and swollen ruins, where history and modernity come together to show you greatness. 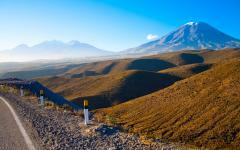 Arrive in Lima, the City of Kings, and feel your heart race with anticipation. The magnitude of the city creates a beautiful diversity where every day brings with it new discoveries. 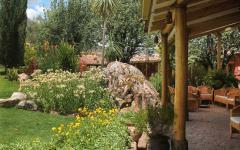 Continue to Cuzco, the city among hills, the once opulent Inca capital that retains its grandeur. 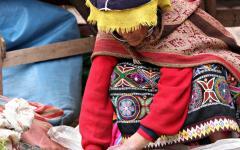 Outside of the city you will visit the traditional market of Pisac village along with the grand hovering ruins of Ollantaytambo, where the Inca stayed an attack by the Spanish over 400 years ago. 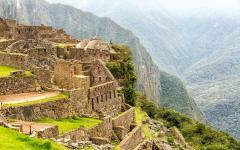 Journey through the Sacred Valley and stand on a mountaintop within the Lost City of Machu Picchu, the stone city climbing up the mountainside like a pyramid. Continue your exploration within the city of Iquitos, a once commerce capital during the rubber boom that contains its historic decadence. 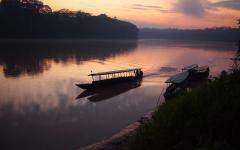 Board the luxurious motored vessel, your comfortable and plush cruise ship that will take you along the Amazon basin. Visit local villages with a new understanding of quality harvest and farming. Learn to fish with the locals. Journey through the canopy and witness the energetic wildlife of the rainforest before you return to Iquitos and make your way home. 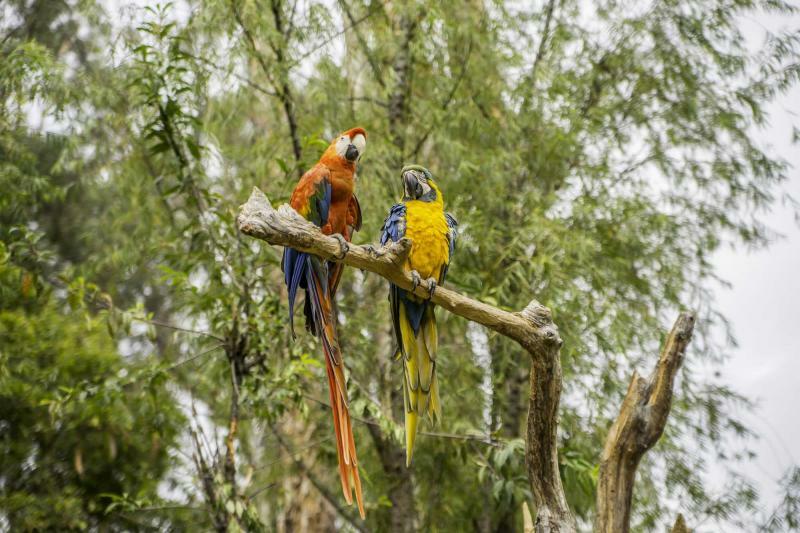 Your time in Peru will have you cruising through mountains and rainforest, seeing colorful culture and plumage, traversing the Andes and the Amazon. 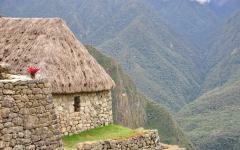 Related Information: Zicasso offers many Peru vacations. 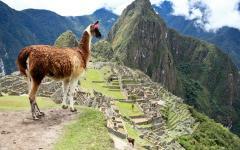 Take a look at the Machu Picchu tour reviews for additional ideas and to read about traveler experiences. 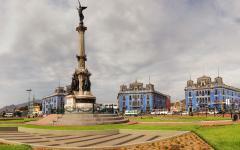 Arrive in the City of Kings, Lima Peru, with the expansive city stretching before you. Each neighborhood reveals a different world containing a variety of scents, culture, and slang. The trendy seaside neighborhood of Miraflores stands above crashing waves and the lingering perfume of lemon from fresh ceviche. The lighthouse twirls in black and white stripes along the edges of the shore, giving light to the dark ocean and to the surrounding boardwalk it stands beside. Parque de la Muralla hovers around the edges of Lima where the heart of the city was once encircled by a large wall. 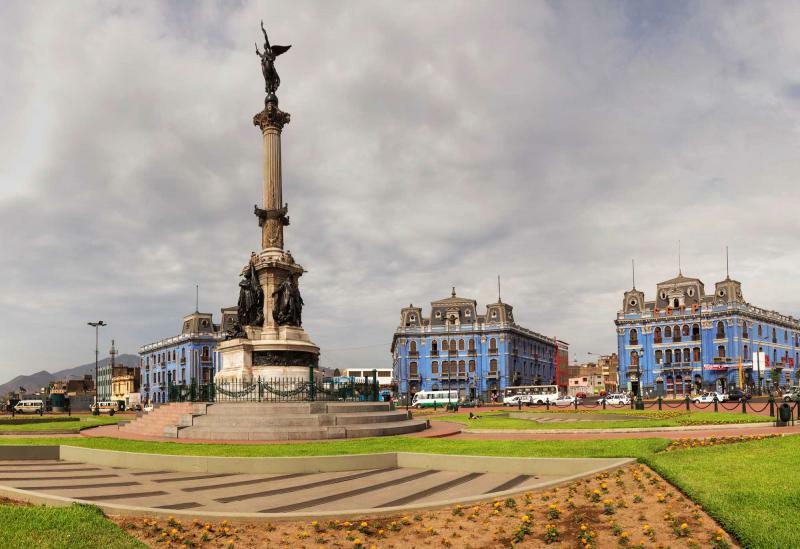 Most of the fortification was torn down as the city expanded; however, a set of excavated pieces of the wall remain within the park, where a bronze statue of Francisco Pizarro stands in silence while Peruvian teens gaze into each others’ eyes. Today you will depart from the remnants of the walls along ocean shores of Lima and venture into the Andean city of Cuzco. The Inca remnants of the city sit beneath the Spanish architecture and rise above the streets overlooking the entire valley. The Plaza de Armas was the heart of the Inca capital and today continues to be just as important. Two flags fly above the square in the gentle mountain breeze, the red and white of the Peruvian flag, and the rainbow flag of Tahuantinsuyo, representing the four quarters of the Inca Empire. Stroll along the rounded stones of the Loreto alleyway, where Inca walls line the cobblestones and continue to give access to the square. The monoliths of Sacsayhuaman overlook the rolling hills of the valley and stand above the streets of Cusco, an impressive reminder of Inca engineering ingenuity. The large boulders are cold on your fingertips as you brush over the stones to see how they are pressed together. They were mined, cut, and forced together using nothing more than the intricate change and their body weight to stay in position for centuries. Once inside the fortress, you can venture through trapezoidal archways, where stones cling together without mortar. Climb to the top of the walls, tiered for a grander view of the cityscape, and experience the Andes from 10,750 feet above sea level, with Cusco beginning to glow in the silhouette of the late afternoon sun. 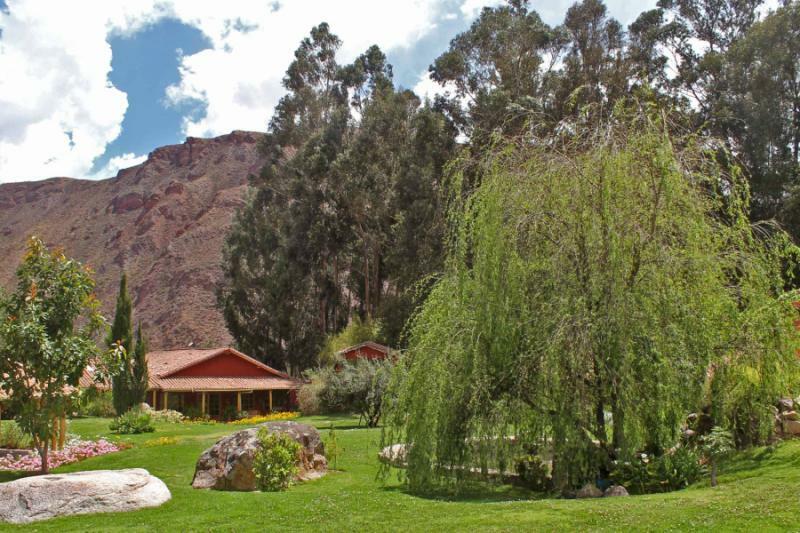 Explore the depths of the Sacred Valley with a visit to Pisac, a village that sits along the sweeping hills of the Andes. The scent of sweet potato drifts along the walkways as you hear the jovial chatter of the city. Along the citadel above Pisac are Inca ruins, divided into four sections. The old guard sits along the citadel overlooking the valley where a series of ceremonial baths continue to line the hillside. Across the gorge you can see a variety of Inca tombs honeycombing the cliff. 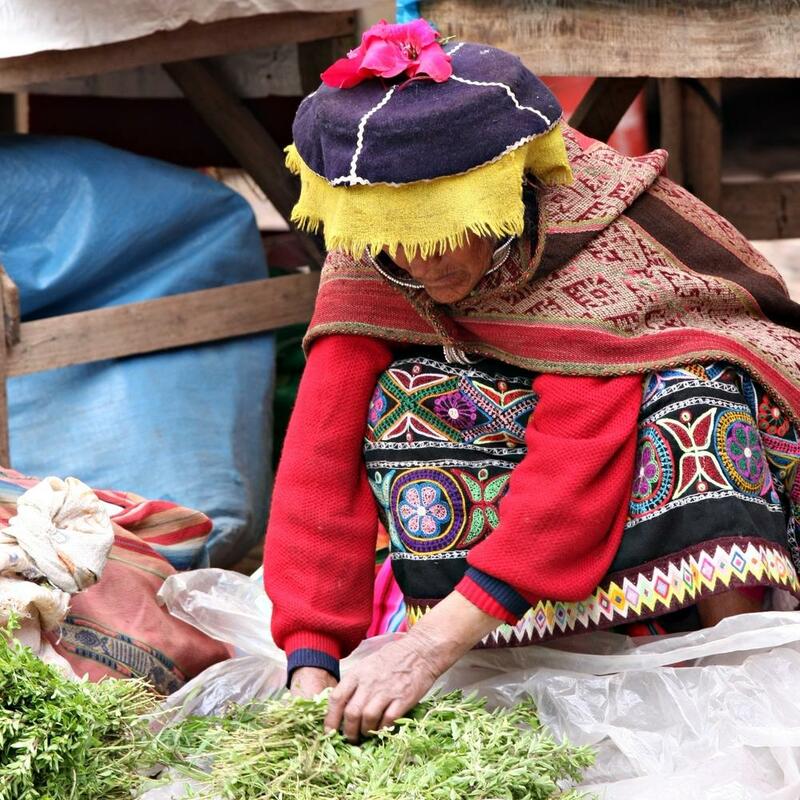 Within the bustling joys of the town you can see the colors of the Andes sweep across the market, from the clothing of the locals to the textiles of the vendors; even the produce shines sensational greens, yellows, and reds along the flavorful sight of the bazaar. 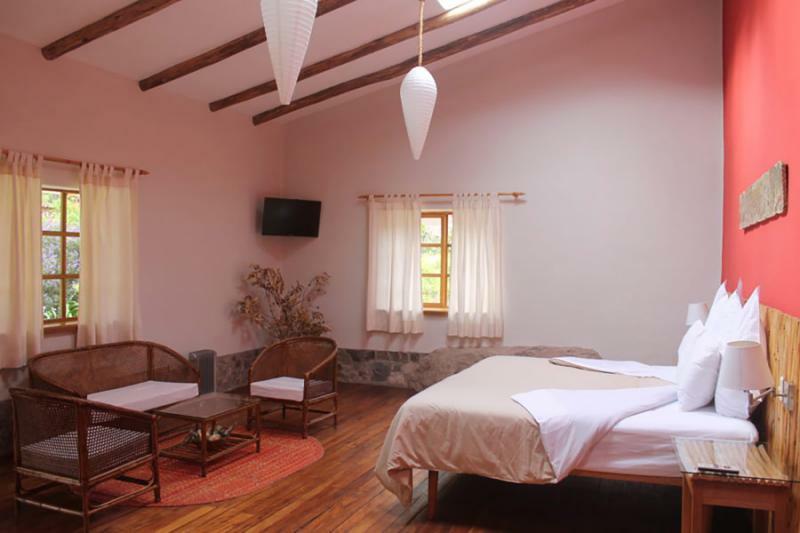 In Ollantaytambo the village remains almost unchanged from the Inca city that it used to be. The homes have trapezoid archways that keep the stones together without mortar and sealing cracks which keeps the home cool in the summer and warm in the winter. Along the terraced hill you can see the lingering stones of the once grand temple. The Wall of Six Monoliths is a rich pink color that stands tall against the backdrop of the mountain peaks. You hear the gentle trickle of water from the Bath of the Princess, a fountain cut from a single boulder with ornate designs and an aqueduct system that still works centuries later. The sky turns cooler in the later afternoon and you return to Cusco for the evening. 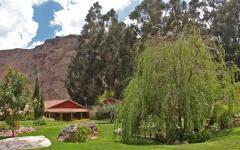 Today you will venture out through the Sacred Valley where the mountaintops pierce the sky. You can hear the rush of the Urubamba River in the valley basin. 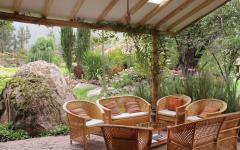 The lush green grass stretches the expanse of the hills and gives way to dangling jungle. Waterfalls careen along the foothills and orchids blossom in the trees. 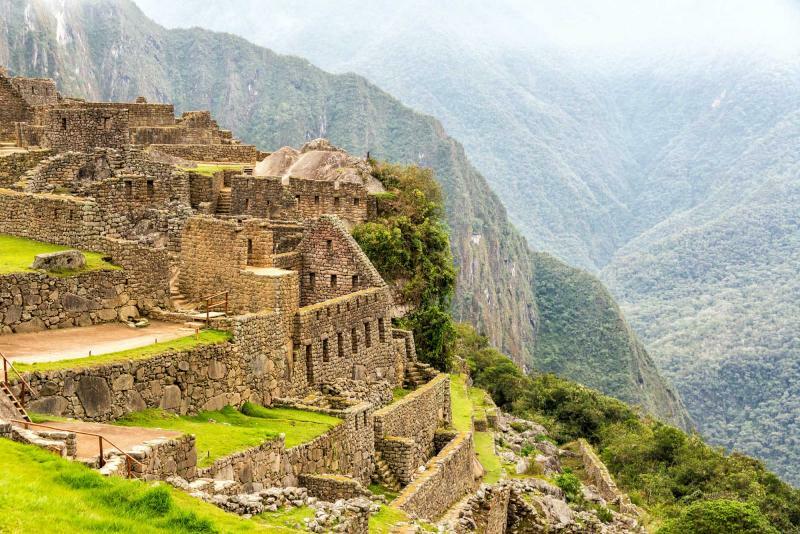 You begin to ascend a stone staircase, your heart racing, the air cool, the stones cold, until the stairs come to an end, the wall opens and you look out over the towering city of Machu Picchu standing 1,000 feet above the valley below. Wander through this Wonder of the World with the stone buildings practically glittering in the sunlight. Terraces climb the mountainside. In the distance you can see llamas grazing on the abundant vegetation. Stand at the highest point of the city at the House of the Priest, and look over the stones and temples, along with the labyrinthine complex and its collection of cells, niches, and passageways in the lower corner. Stand in the Temple of the Three Windows where the trapezoidal windows line the wall and the stone slab captures the exact angle of the sun at sunrise. The night starts to hover over the citadel and you make your way to your hotel, Villa Urubamba with thoughts of the Lost City lingering. The morning light glints over the stone buildings and you make your way back into Machu Picchu for one more exploration. 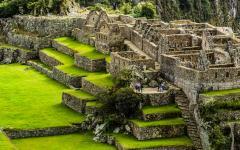 Huayna Picchu stands tall above the Lost City, its beauty and majesty almost like a shadow. 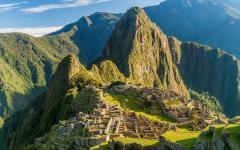 Venture through the Inca Tunnel and up the steep staircase that rises alongside the mountain. The rope rail is coarse on your hand as you use it to guide you up the steps. Once you reach the peak of the mountain you can see the need to stand atop the plateau, the fabulous view worth every huff and puff that may have been expelled. The magnificence of Machu Picchu can be seen as one city, sitting among mountains, the stones rich and stern against the blanketing blue sky. As you descend the mountain and make your way back to Cusco you know that the vision of the Lost City is enriching and a true Wonder of the World. Watch the peaks of the Andes fade and transform into the carpeted green of the Amazon canopy. 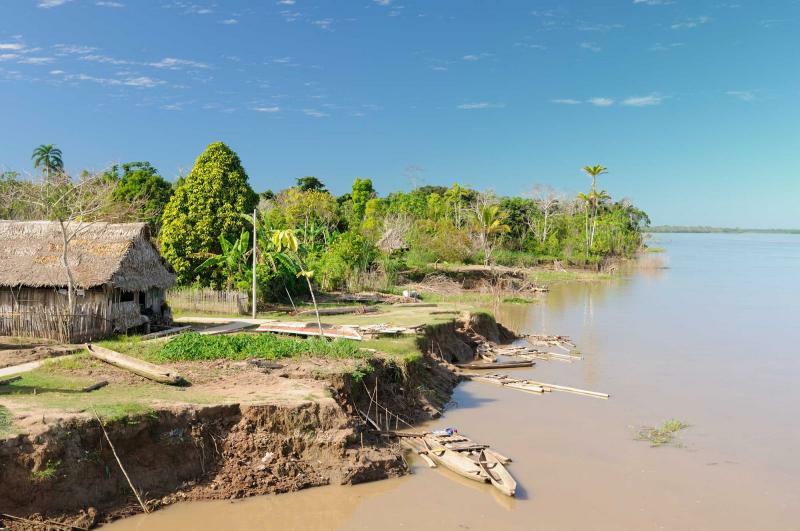 Arrive in Iquitos where the rush and thrall of the Amazon rise through the air, as the water sweeps along the tree line. 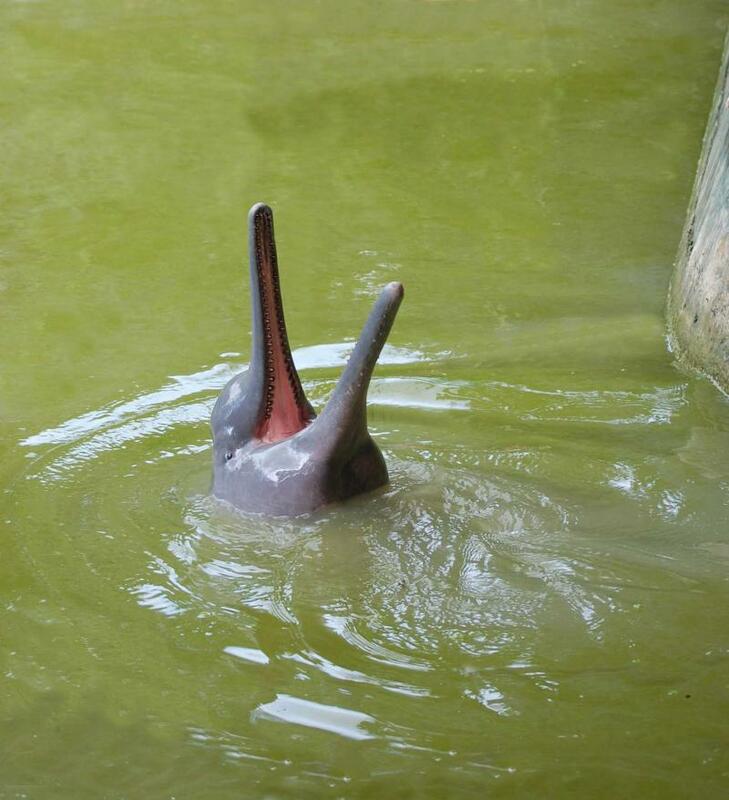 The grandeur of Iquitos is not only in its position along the riverbanks but also within its rubber boom past. The gilded Victorian buildings harken back to the rubber barons sitting on the opulent terrace of the second story balcony while sipping gin fizz and watching the bustle of the city rush by. The scent of sugar cane sweeps through the streets and the decadent past blends into the working present. Transfer to the village of Nauta where the M/V Aqua waits at anchor. The luxury river cruiser offers open cabanas along the deck and vistas throughout the dining room to ensure the best view of the water, the riverbanks, and the sensational skyline. The scent of luscious Peruvian fair with a European flare drifts along the deck: succulent chicken, zesty spice rub, and choclo, large kernel corn. Beneath the Amazonian stars bursting in the night sky you can sip the luscious frothy tang of a Pisco Sour and let the slow rock of the river sooth you. Wake to the scent of sweet pineapple and creamy plantains emanating from the kitchen. The boat has docked along the lowlands and you follow your guide out into the marshy water to Yanallpa Lake. The air is warm in the early morning and the marshlands are flat and expansive. Water lilies blossom large with colorful petals. You hear an awkward grunt and wheeze in the distance where grass and leaves start to rustle. You follow your guide’s lead and slow your pace. You peak above the marsh and see a colony of Hoatzin calling to one another with the guttural noise. They look to be the size of a chicken, with colorful plumage and a Mohawk, giving them a punk rock edge. A cool breeze brushes along the water taking away a moment of the dense air as you make your way back to the ship. Shallow bottomed boats motor or paddle by the cruise ship, their drivers waving to you with large smiles and grand gesticulation. The trees stand at the edge of the riverbanks without an end to the forest in sight. 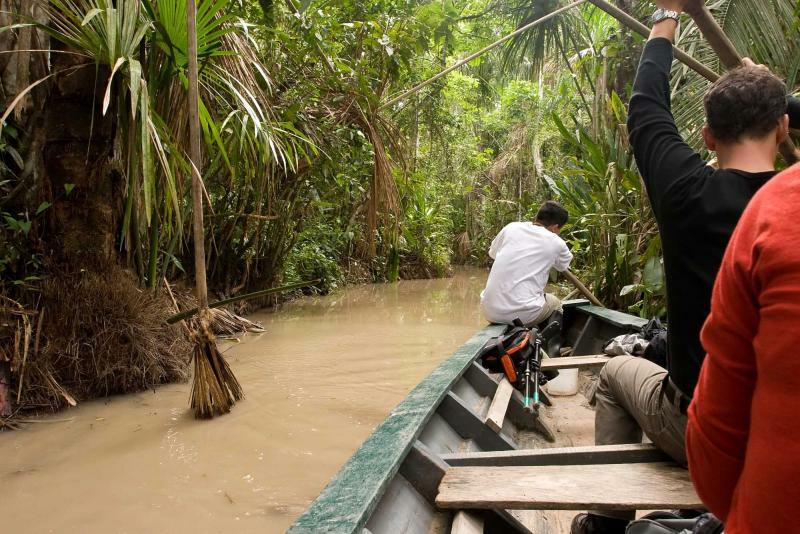 The Ucayali River winds and twists, carving through the dense expanse of trees. Watch as fisherman line and net the incredibly diverse fish of the river. The men show off their skill and understanding of their profession and of the water, catching the beautifully odd “armored” catfish, whose skin resembles a turtle shell due to their bony plates that also cover their mouths. The night strolls in over the canopy and sits above the trees and over the river. 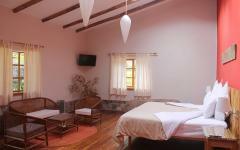 Wake up to the fresh rich perfume of roasted coffee and set off for an incredible jungle walk near Hatum Posa Village. Follow your guides through the multihued canopy where the quiet of the river gives way to the active sounds of the morning wildlife. Come to an opening in the forest where the native people have learned to subsistence farm, cultivating wild plants and trees to earn income from the wealth of fruit trees and medicinal plants hidden in the jungle. The sweet scent of camu-camu, a tasty, creamy, native fruit filled with antioxidants, rolls along the forest floor. The sun drifts into the late afternoon and you skiff along the Pacaya River, to see Ranger Station Number 1 where sensational and plentiful life is hidden within the canopy of the rainforest. Capuchin monkeys rush through the branches. The cologne of rich, dense vegetation surrounds you. The heavy guttural call of howler monkeys sounds like a prehistoric dinosaur ambling in the trees. As the sun sets their howls turn to snarls, deep warnings that designate their territory; the sounds of the rainforest collect into a symphony of movement and calls across the treetops. The morning sun rises above the canopy and sets the river alight with the orange and purple glow. The water rushes along the riverbanks as trees stand tall around you, absorbing the sky. Watch the gentle lull of the river break its ripples, giving way to bobbing and chatter. Pink dolphins surface and swim alongside the boat. 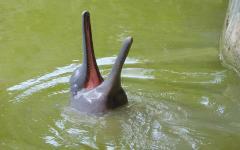 The endangered dolphins have long thin snouts and pink, slick skin. Their jovial nature and playful attitude has given them a peaceful cohabitation with the natives. 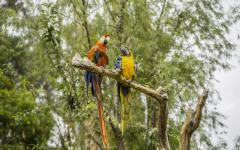 In the trees macaws stand out with bright blue and red feathers, flapping their wings within the canopy in the distance. As night begins to spread over the rainforest you can see caiman amble up the shores looking for their first snap of the evening. 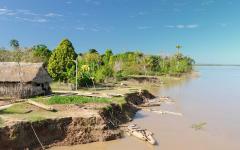 Today you will dock in Nauta and then make your way back to Iquitos. The stunning iron building designed by Gustave Eifel stands proud among the city’s history. Board your flight and watch the trees fade away and the familiar sights of home wash over you. 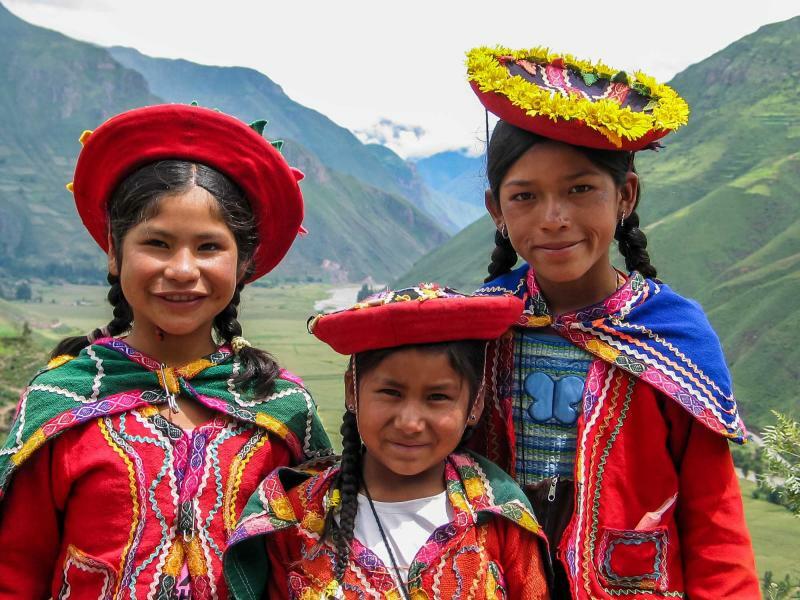 Your journey through Peru had you cruising through mountains and rainforest, seeing colorful culture and vivacious wildlife, traversing the Andes and the Amazon. Home may be where you are headed but you know that your heart will always be in Peru. 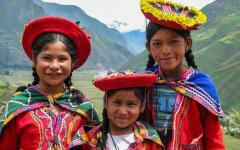 Peru vacation packages are hard to forget and you will be counting the days until your return!